The Firearms Training Academy strives to be the best firearms and personal protection company on the planet. Below are our training policies and procedures. We have a no refund policy here at the Firearms Training Academy due the simple fact that we have a limited number of seats for each class, mainly due to safety reasons and supervision on the range. When you register for a class and then cancel that means someone else could have taken your seat in that particular class. The only time a refund will be given is if the Firearms Training Academy is able to rebook your reserved seat. A deposit is required to hold your spot in a group class. If cancellation becomes necessary due to low attendance, weather etc, we will make every effort to inform clients in a timely manner, and a full refund will be issued, or the client may reschedule in to another class at their option. Private instruction clients are required to make a non-refundable deposit equaling 50% of cost of class. Class minimum size is usually 4 people and most likely the class will be cancelled if we have less than 4 people signed up, for seminars the minimum number is 10 attendees. 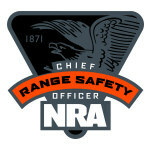 At the Firearms Training Academy safety, especially on the range is our number 1 priority. We reserve the right to ask anyone not observing the safety rules or behaving in a belligerent manner to leave the range or the classroom in order to secure the safety of other students. This includes individuals under the influence of controlled substances, alcohol etc. All students will sign a waiver of liability before class. Students will also be required to certify in writing that they are not a prohibited person as listed below. Anyone attending class under the age of 18 must be accompanied by an adult. The Firearms Training Academy will not be responsible for minors while in class and should it become necessary for the instructor to remove a minor from class, a parent or guardian will need to be available. Minors also cannot legally sign our liability waiver, so a parent or guardian also need to be available to sign the document. Unless otherwise notified you should assume that classes will occur regardless of weather conditions. There is so much that goes into the planning, venues, instructors, resources and scheduling of all our classes that we will very rarely cancel a class due to weather conditions. So you should assume that unless you hear from us that the class you signed up for will occur regardless of weather conditions. 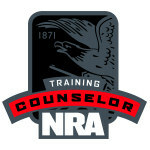 In the event, the Firearms Training Academy does cancel a class, we will reschedule students into other scheduled classes if they are not already full. Regardless of weather conditions, if you are no show to class you will forfeit your deposit. The NRA & the Firearms Training Academy cannot provide any assistance in training foreign persons due to conflicting information from the U.S. Government regarding regulations pertinent to foreign persons and arms training. In view of the above, we regret to inform you that NRA & the Firearms Training Academy cannot renew NRA firearm trainer credentials for any foreign national unless they have written permission from the U.S. State Department. The Firearms Training Academy is a group of experienced professionals dedicated to bringing the Highest quality of service to our clients. We strongly believe in our ethical and legal obligation to protect our clients' privacy. The firms commitment and approach to client confidentiality distinguishes us as a leader in firearms instruction and investigations. We fully anticipate to be held to those expectations. In fact, we commit to exceed them. The Firearms Training Academy takes seriously its commitment to client's confidentiality and it is truly what sets us apart. The Firearms Training Academy operates in full compliance and cooperation with all local, county, state and federal laws. We are not affiliated with any County, Local, State or Federal Law Enforcement Agency. When you sign-up for a class with the Firearms Training Academy you will get payment options depending on the class. All classes except some seminars like Refuse to be a Victim require a deposit ranging from $40 to $100. You will have the option to pay by Credit Card, PayPal or the Pay Later option. The Pay Later option has 2 choices of Mailing in a Payment or Calling in a Payment. Deposits must be received at least 2 weeks prior to the class so we can order student packets for you. No packets will be ordered for students who have not sent in or paid the deposit. Please note that you can also make Credit Card Payment via PayPal without an account and without divulging credit card information to us, which reminds me, FOR SECURITY PURPOSES NO CREDIT CARD DATA is STORED ON THIS SITE.